The Oakland 2025 Master Plan is the broad-based community plan that will guide Oakland in making positive and lasting changes. 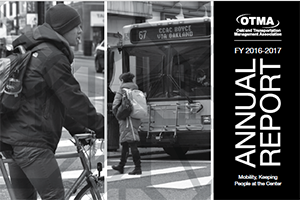 Oakland 2025 is the culmination of a year-long community engagement process that included public design workshops, neighborhood dialogue sessions, community "walk-shops," and stakeholder interviews. Housing: Provide innovative, sustainable housing choices for diverse new generations of residents who choose to live where they work. Do this through rehab, conservation & innovative new housing choices and financing incentives. Transportation: Develop a multimodal transportation network that incorporates “complete streets” principles (accessibility and safety for pedestrians, cyclists, automobiles and transit) and connects all parts of the neighborhood. Business and Development: Maintain local, unique and diverse businesses that grow from Oakland’s innovation economy and support the neighborhood health. Open Space and Art: Weave green infrastructure (trails, parks and hillsides) and public art into all economic development initiatives. Community Building: Reinforce neighborhood identity and increase social capital through community consensus, social networks, stewardship, gathering places, and increased connectivity. For more information on the Oakland 2025 Master Plan, visit the Oakland Planning and Development Corporation's website at http://www.opdc.org/programs-services/2011-community-plan/.